The BBC Network fell prey to a major hoax when an impostor posed as a Pakistani cricketer and swindled the global network into hiring him as an expert on cricket shows. 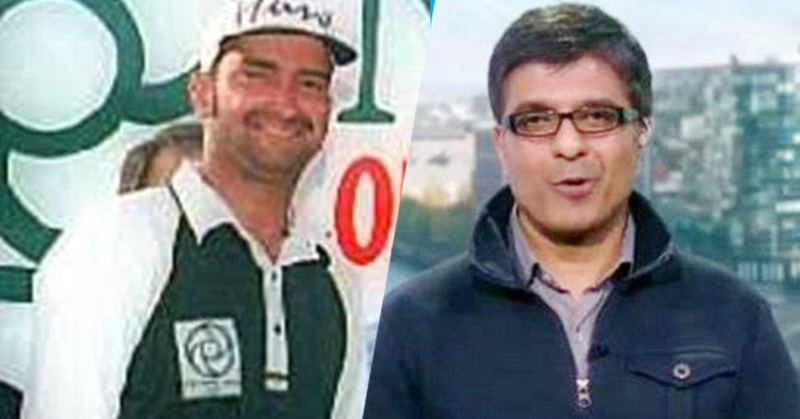 The impostor, Nadeem Alam, claimed to be the former Pakistani batsman Nadeem Abbasi and appeared on cricket-based discussions on BBC World News, BBC Asian Network and Radio Five Live alongside former Indian batsman Aakash Chopra and other cricketers. It appears Alam has only played for his hometown Huddersfield in West Yorkshire. He also changed Abbasi’s Wikipedia page to show that he was now a freelance journalist making regular appearances on BBC networks. The real Nadeem Abbasi, a wicket-keeper & batsman who played three Tests for Pakistan in 1989, was furious and threatened to punch Alam in the face. “If I ever find Nadeem Alam, I will punch him in the face for damaging the country’s (Pakistan’s) reputation. The BBC is a big institution and surely they must check?” His only media appearance was on a Pakistani television during the World Cup in 1996. According to sources, Alam said that he was ‘no longer pretending to be Nadeem Abbasi’. “I like to think I have been talking good cricket,” he said. The BBC apologized to Abbasi for the upset,“We apologize to the real Mr. Abbasi and we will be looking seriously into what has happened,” a BBC spokesman said. Next articleModel Ayyan Goes Full Diva on Jail Authorities – Bail Refused!